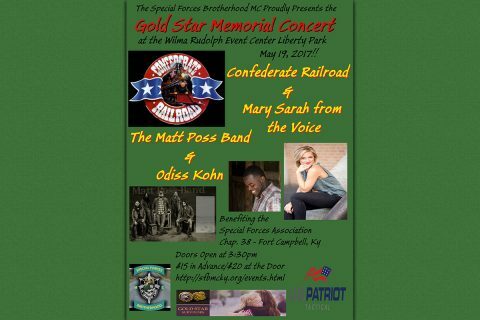 All of the proceeds from the Gold Star Memorial Concert go to support the associations’ mission which include care for the Gold Star Families. Last year, the Special Forces Brotherhood Motorcycle Club (SFBMC) donated $4,000 to the Green Beret Foundation to support Gold Star Families. Gold Star Family is a modern reference that comes from the Service Flag that included a blue star for every immediate family member serving in the armed forces of the United States, during any period of war. If that loved one died, the blue star was replaced by a gold star. This allowed members of the community to know the price that the family had paid in the cause of freedom. The Special Forces Association provides direct and continuous support to the Green Beret Community and its families through casualty assistance, wounded soldier, transitioning service member and Gold Star programs. Every year, 5th Special Forces Group on Fort Campbell, KY brings back the families who lost loved ones in service to their country and rededicates the memorials in their honor. 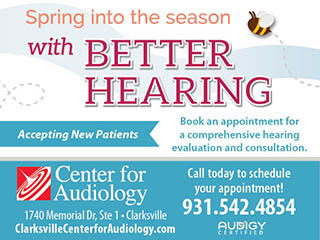 The SFBMC is currently preparing for the next concert scheduled for May 19th, 2017 at the Wilma Rudolph Event Center located at 1188 Cumberland Drive, Clarksville, TN. If you would like to donate or sponsor this event please contact.